A classic, redrawn by Steven Guarnaccia. 1. 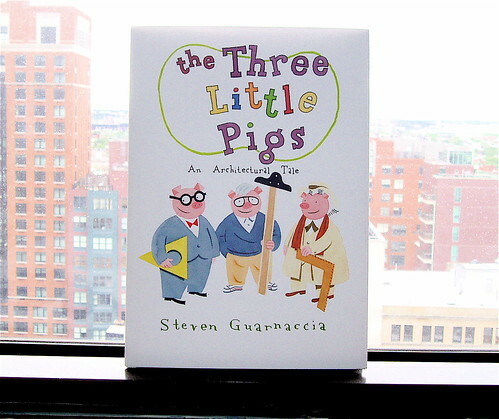 First, from illustrator Steven Guarnaccia, comes an updated version of a classic story: The Three Little Pigs: An Architectural Tale. 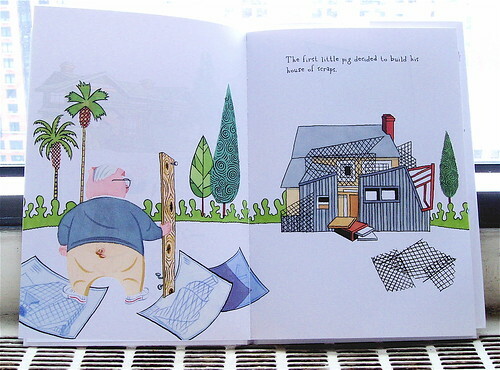 The pigs in this tale are strangely familiar looking. One builds a house out of scraps. One builds a house of glass. And one builds a house out of concrete. Predictably, Gehry-Pig and Johnson-Pig don’t fare too well against the the evil, motorcycle riding wolf — could it be Thomas Krens? — but Wright-Pig prevails. 4. Fourth…sort of. The story about Ground Zero by Chris Bonanos in the current New York Magazine isn’t cute at all. But it’s really good. Check it out.